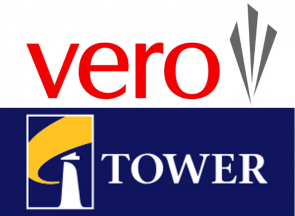 Tower is backing Vero as it appeals the Commerce Commission's decision to decline its application to takeover Tower. The competition watchdog last month blocked the proposed merger over concerns around it reducing the number of major domestic general insurers in New Zealand from three to two. Tower, in an announcement to the NZX, said: "Tower's Board will fully support Vero with its appeal. Tower also intends to file its own cross-appeal within the coming weeks. "Tower understands that Vero is seeking to have its appeal heard before the end of the 2017 calendar year and Tower supports a prompt resolution of the matter. "In the meantime, the Tower Board continues to consider a capital raise to ensure prudent management of the balance sheet and accelerate the transformation of the business." Macquarie analysts previously dismissed the possibility of an appeal due to cost, and the reasons the Commerce Commission provided for its decision (see these here and here). While the Commission gave IAG (New Zealand’s largest general insurer) the green light to acquire Lumley in 2014, its reasoning around declining Vero’s merger appeared fairly resolute. “Without the competition that Tower provides, there is a real risk that consumers would end up paying higher prices for insurance cover while receiving lower quality, such as reduced insurance coverage," it said. Furthermore, a document released to interest.co.nz under the Official Information Act revealed the Commission has been undertaking a separate investigation into the competition issues posed by Vero buying a 19.99% blocking stake in Tower. However, Tower’s financial position goes some way to explaining why it's pushing hard for a takeover. Forsyth Barr maintains Tower would need $75 million of capital to follow through with its ‘Plan B’ – to ring-fence its problematic Canterbury earthquake-related business, splitting the company in two. The New Zealand insurer in May accessed $30 million of new capital as a part of a $50 million loan from BNZ, as it came within $5 million of breaching the solvency requirements of its Reserve Bank licence. However Forsyth Barr understands "the debt facility was intended by Tower to be a temporary measure and in place only until the takeover situation was resolved". A.M. Best last week put Tower on notice, saying its credit rating could be downgraded if it doesn't improve its capital position. In the best interests of the tax payer & outstanding EQ claimants let's hope Vero succeeds. Tower has long looked gone beyond the state of doom. There is still the strange issue of the $40 mill or so Peak-re reinsurance, under litigation, but nevertheless a "current asset??" And it would seem that a loan from the BNZ is also "capital??" But without that it looks fairly certain Tower would simply have run out of cash flow, unable to meet its day to day obligations, let alone claims?. Slow motion train wreck. Not much chance, one would think, of raising capital out of a swamp like that.